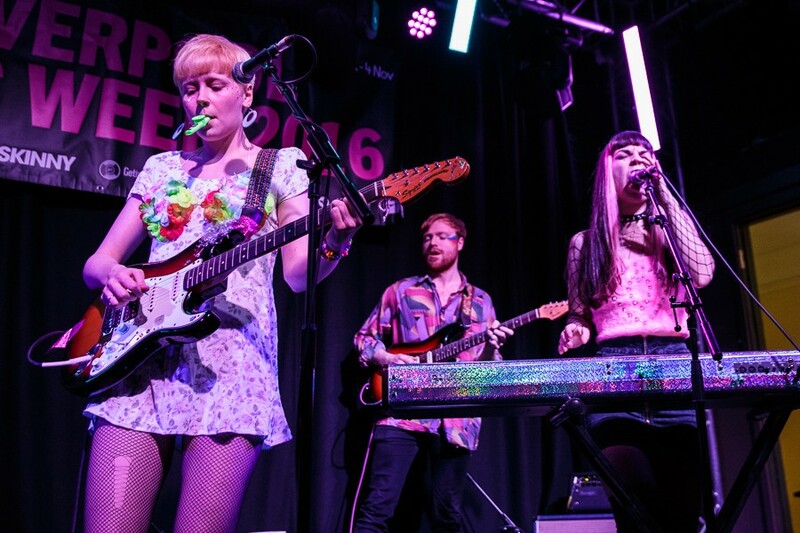 As Pink Kink get set to headline EBGBs later this month, Getintothis’ Lorna Dougherty celebrates their rapid rise and looks ahead to the gig. Pink Kink have definitely made a name for themselves within Liverpool’s music scene since their debut show just over 12 months ago and despite not having released any music or barely any form of social media presence, they have developed a fairly large following who are giddy at the thought of seeing the five-some perform live. The LIPA–formed band are full of charisma with shouty, happy, punchy tunes, filled with cowbells and kazoos. Yet the psych guitars and punk base are only part of their act. The quintet quite clearly stand for everything surrounding feminism and prove why we need to appreciate new music. Sharing the bill are emerging London outfit HMLTD, whose kookily oddball image looks set to complement Pink Kink’s charms perfectly. Debut single Stained, with its disturbing video, showcases their melting pot tendencies. A blaze of invention that fuses the energy of punk with the taut tension of post-punk while marrying it with dark gothic undertones. Making heavy use of repetition and arresting and forthright lyrical images, it comes together around a heavily processed sound that gives way to a euphoric release and sinister ending. They ought to be a real thrill live. If you haven’t already seen Pink Kink live, go! And see why they completely deserve all the rave. For £5, in a superb venue, you cant say no. You can catch Pink Kink and HMLTD on November 25 at EBGBs.